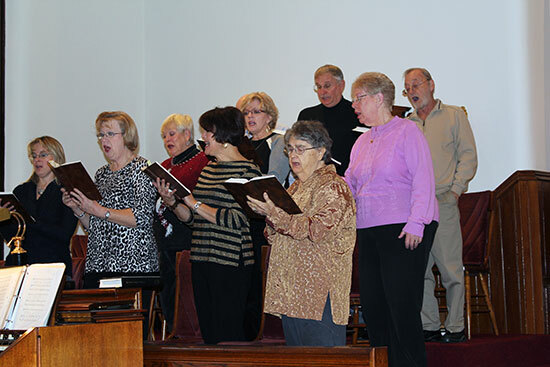 Our choir meets every Thursday evening at 7 PM. We are always looking for new voices. The choir is now rehearsing for the annual Christmas Eve Candlelight service. We invite those who love to sing beautiful Christmas music to join our rehearsals! We have a co-ed slow–pitch softball team that plays in a church league on Monday evenings from the 1st Monday in May until September. Always a lot of fun! Come and join us. If you like to knit, crochet, and more, this just might be for you! This “crafty” group of ladies make baby blankets, prayer shawls, hats, gloves, scarves, lap blankets, and much more. Come and share your talents. This very important group helps with fundraisers, food preparation, funerals, food stands, and many other activities. If you like to have fun and enjoy helping others, this is the group to join. This group of 9 members is our governing body. The decisions of this important team impact the daily maintenance and operation of our church as well as provide a positive relationship with our community. Each member is elected for one 3-year term with the option of being reelected for a 2nd 3-year term. 1. Annual Valentine’s Day Dinner – (The men cook, serve, and cleanup). 5. Monthly Birthday luncheon – At April’s in Loysville. 6. 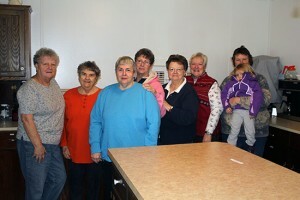 Monthly Breakfast – Breakfast at Bear’s in Ickesburg.